High load bearing capacity despite lightweight construction. These clear colour bins are ideal for storing items such as cleaning products, oil cans, and paper rolls. The Gladiator Pre-Assembled Rolling Garage Cabinet stands over 5 ft. tall and comes with three full-width shelves for versatile and ample storage options. The two large doors lock for added security to keep your stored items safe. This storage cabinet sits on heavy-duty casters to meet ever-changing storage needs. There is also an optional bracket kit that allows the Premier Tall GearBox to hang on the wall using Gladiator Wall Systems (sold separately). Wall Storage Solutions - ProBin Large - 3 Pack High load bearing capacity despite lightweight construction. These clear colour bins are ideal for storing items such as cleaning products, oil cans, and paper rolls. 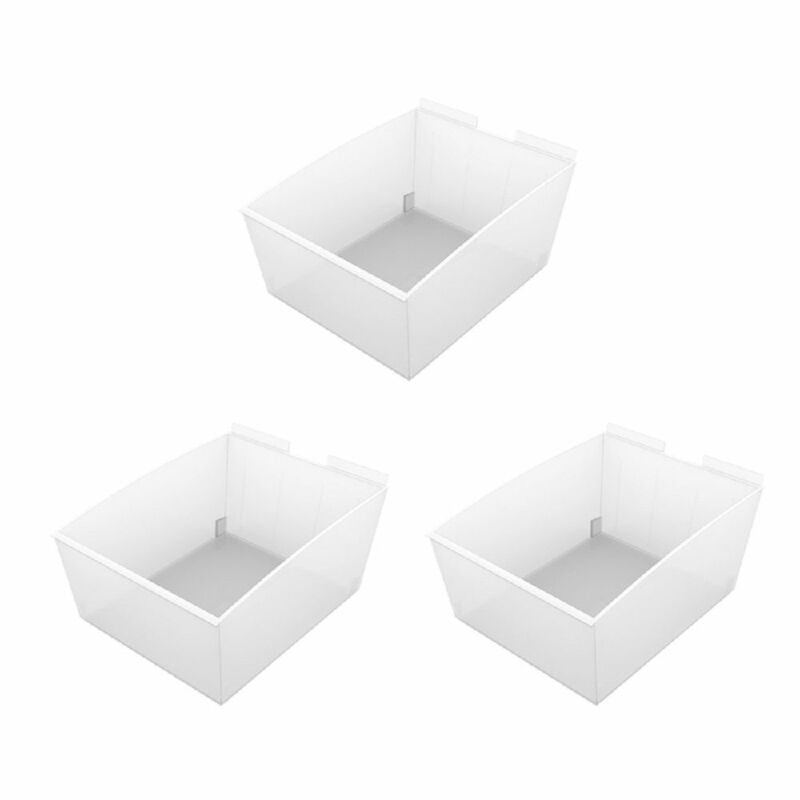 Wall Storage Solutions - ProBin Large - 3 Pack is rated 5.0 out of 5 by 1.